Perth Scorchers is a top rated franchise team in Big Bash League competition. Big Bash League which is also known as BBL is Australian domestic T20 league competition which has passed six seasons successfully and the ongoing season is the 7th episode where total eight franchise teams have participated. Among them Perth Scorchers is the most successful and also most balanced team which is proved. They have won their last group stage match as well. So, Perth Scorchers got 8th victory in BBL 2017/18. The match was against another top flight of the league named Adelaide Strikers which is in 2nd position on the current BBL point table. It was also the last and tenth match of Adelaide Strikers and if they did able to win the last match, they could be placed at the top position on the point table but they failed. However, it was the 2nd meeting between Strikers and Scorchers and both times, Perth Scorchers won the game. However, Adelaide Strikers managed total seven victories in the ongoing season of Big Bash and so, they are regarded as the main obstacle to the title for every qualifying teams. Their last match against Perth Scorchers was the 38th match of the ongoing season of Big Bash which was also a part of round 10. The match was taken place in 25th January, 2018 which was hosted at WACA Ground, Perth. Basically, WACA Ground was regarded as the home venue of Scorchers but it was the last match of BBL that was hosted at the ground. From next the home venue of Scorchers will be Optus Stadium. In the match, Perth Scorchers won the toss and elected to bowl first. So, there was no choice but came to bat and Adelaide Strikers scored 137 runs in 20 overs in exchange for 6 wickets. That was so mere score in a T20 competition. But, to reach the target Scorchers had to fight. In 19.3 overs, Scorchers reached the targeted destination. Adam Voges was the top scorer for Scorchers by scoring 56 runs. Finally, he was announced as the player of the match. 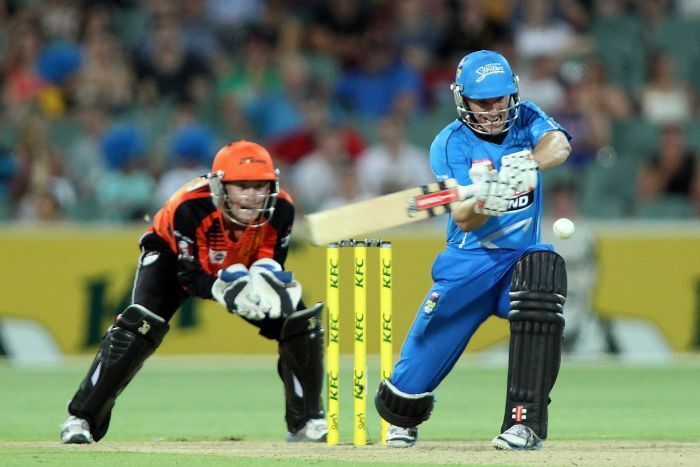 Adelaide Strikers failed to make a good start but their opener Weatherald scored 56 runs highest. Top orders added few more runs where Wells scored 15, Lehmann scored 21 and Carey scored 25 runs respectively for the team Strikers. Kelly, Richardson and Bresnan took two wickets for the team Scorchers.